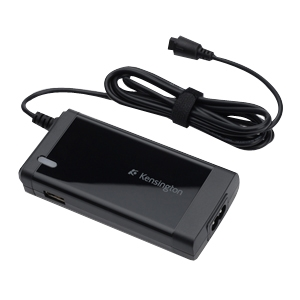 Fly through airports with the Kensington Wall/Air Ultra Compact Notebook Power Adapter. It also charges other mobile devices, even in the air, so you'll have fewer chargers to pack. And it's ENERGY STAR qualified, so it uses an average of 30% less energy than conventional power adapters.